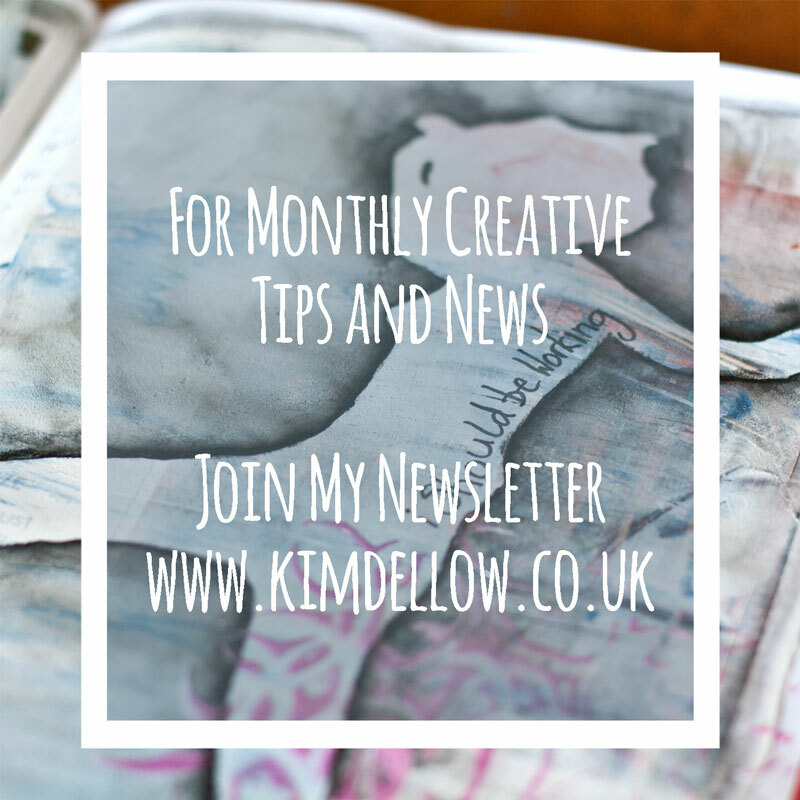 It is Wednesday, so time for my Creative Expressions DT blog post for the week. 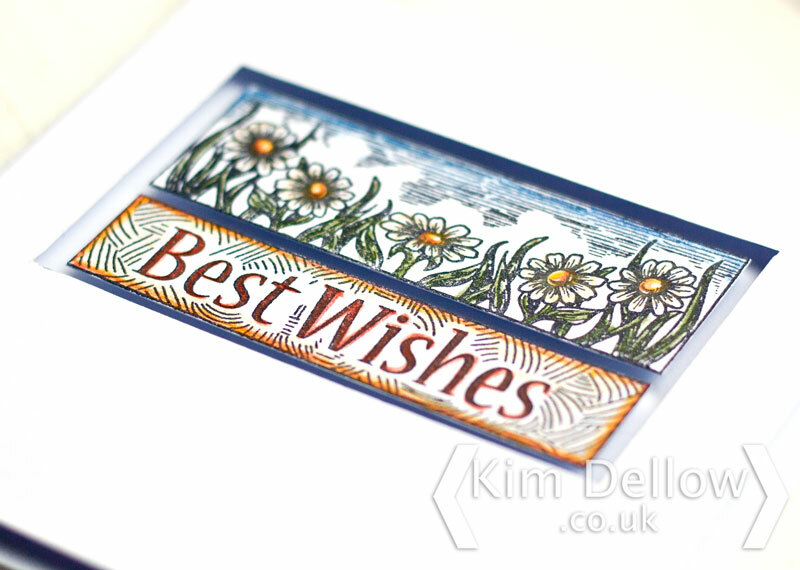 I’ve gone all CAS, Clean and Simple, again using the Best Wishes stamp from the Creative Expressions Singles stamp range. 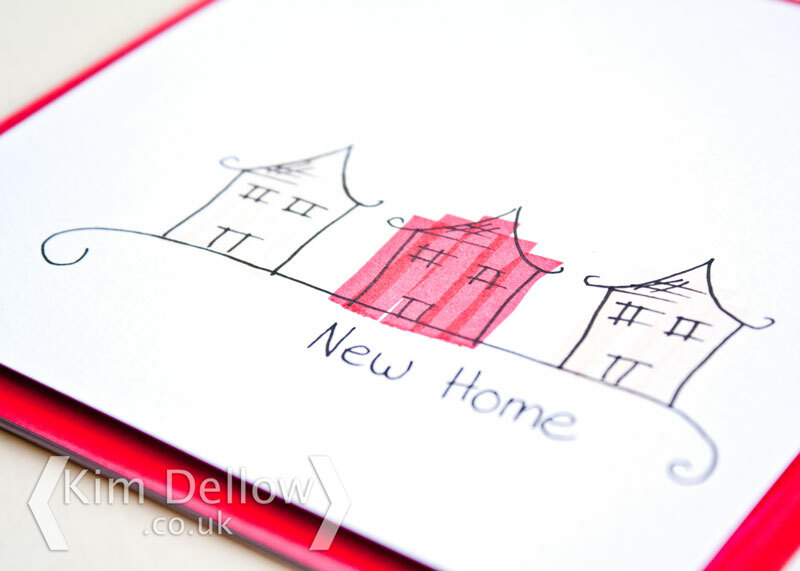 I’ve stamped, coloured the image with pencils then cut out the panels and placed them in an aperture cut from white card and mounted it on the card front with 3D-foam. This is actually the last make you will see from me for the Creative Expressions DT as I have stepped down but you can see lots of Creative Expressions makes by checking them out on facebook. Thanks for popping in today and hope you have a super Wednesday. It is Creative Expressions time! 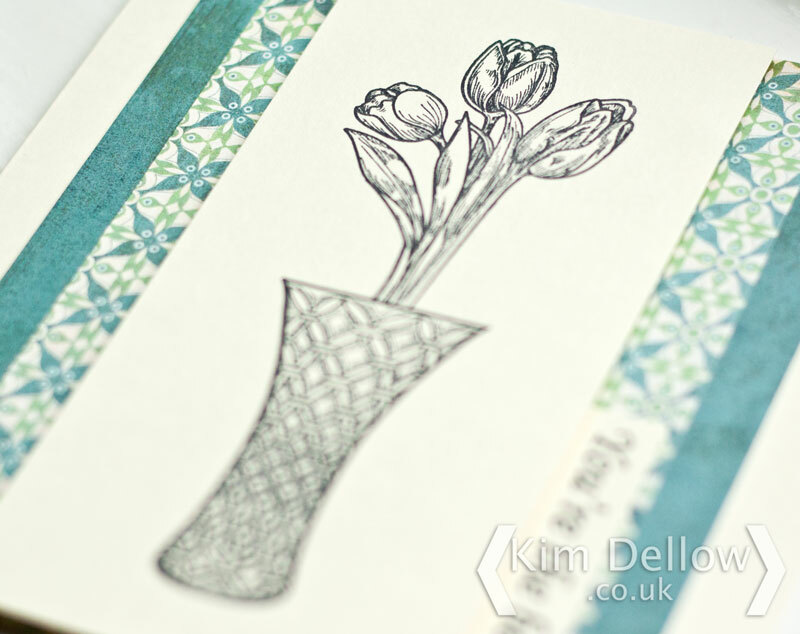 Do you remember at the beginning of the month when I used a single tulip image to make an ATC? Well today I have the other stamp that comes in that set to show you. 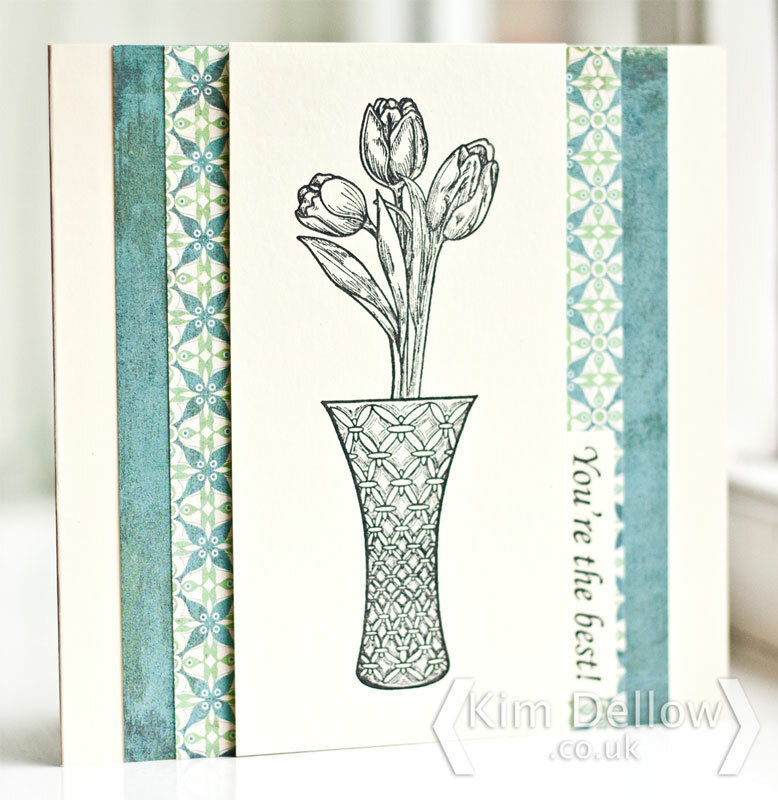 The stamps I’ve used are all from the Single Stamp Range, there is the Creative Expressions Tulip Spray Set of 2 stamps, and both the Vase and the sentiment are from the Cut Glass Vase stamp set. I’ve kept it really simple with no colouring of the image and just a couple of patterned paper panels to pop the image out. 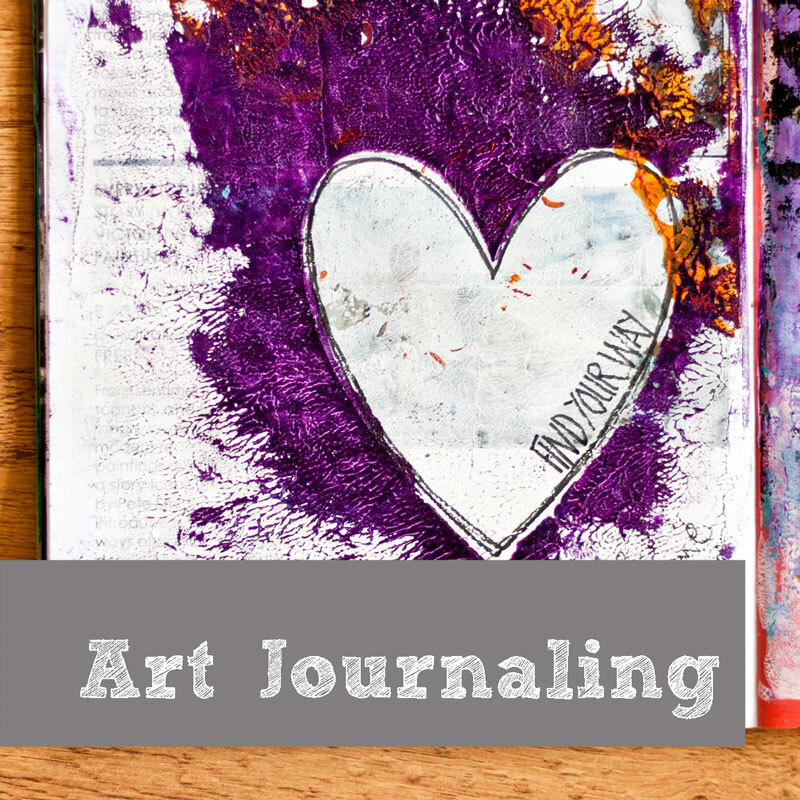 Who is up for the next in this Month’s Creative Expressions DT make? Also in this month’s DT package was a That Special Touch mask and some of the new Cosmic Shimmer Sparkle Texture Paste so that is the main focus this week for me. I masked off the card with some paper so that I could add just the part of the That Special Touch Treilliage pattern that I wanted and added the Midnight Cosmic Shimmer Sparkle Texture paste through the mask. You can see the texture that the pastes gives you, very touchy feely! 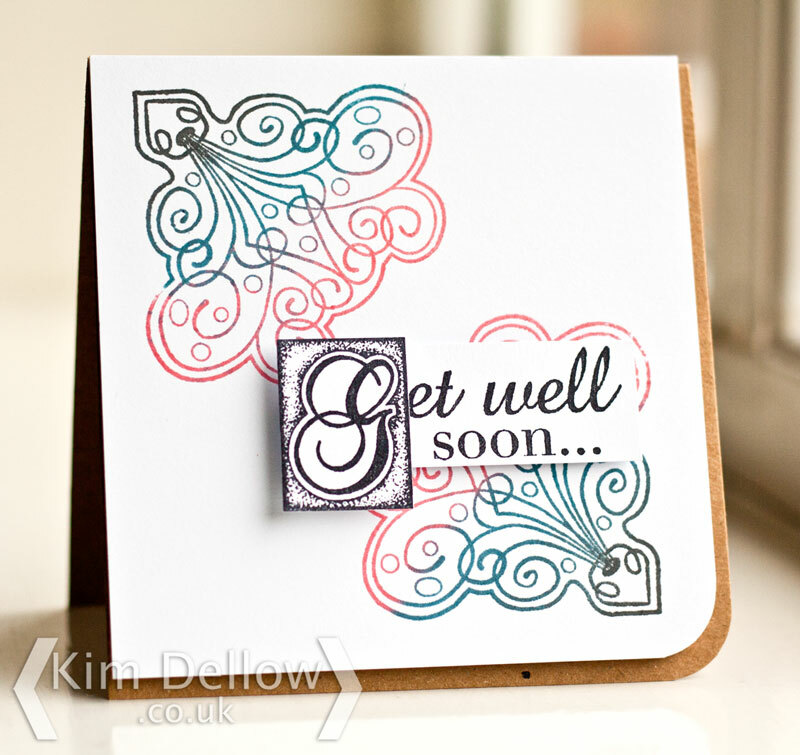 The sentiment was from one of last month’s Creative Expressions DT kit stamps – Art Deco Delight Stamp. Thanks for popping on by. 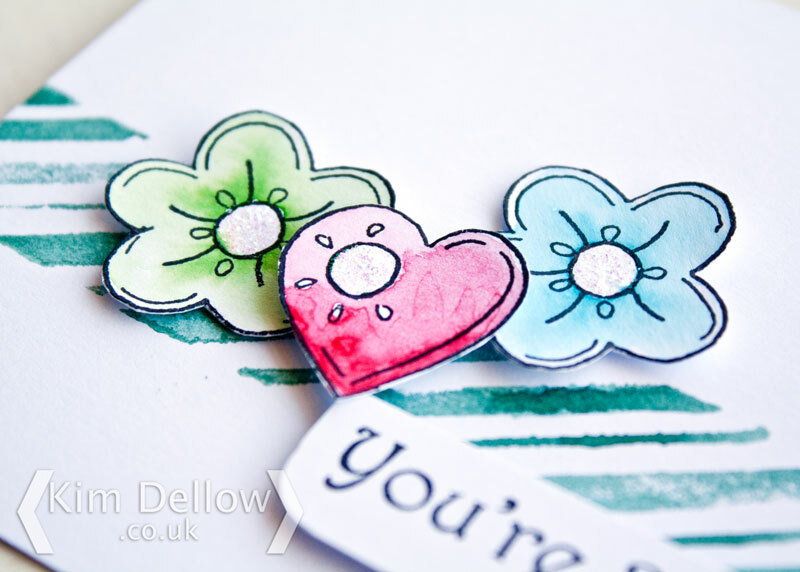 Time for a DT make for Creative Expressions and I’ve got more of the Sue Wilson stamps to show and you can find these stamps in amongst the Creative Expressions Single precut stamp range. 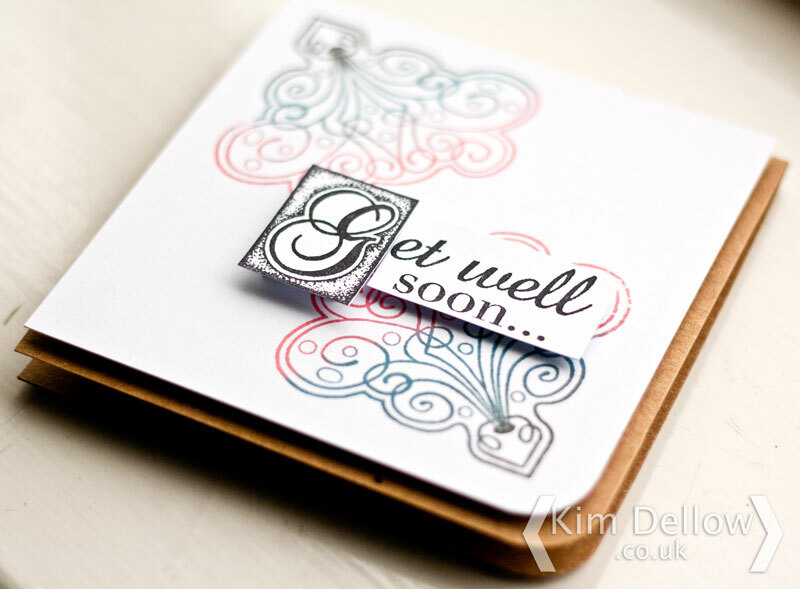 I’ve used the Scented Corner stamp and the sentiment in from the Get Well Soon stamp. I’ve used multiple colours of Ranger Archival ink pads to stamp with again. 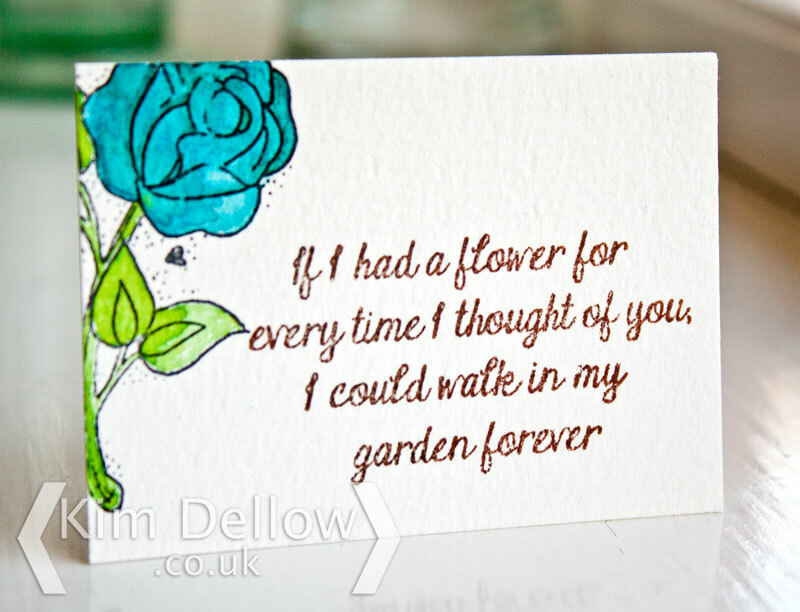 The colours I’ve used are Watering Can and Cornflower Blue from the Wendy Vecchi range of Archival inks and the Rose Madder Archival ink. Then there is the Archival Jet Black ink as well for the sentiment. Guess what? 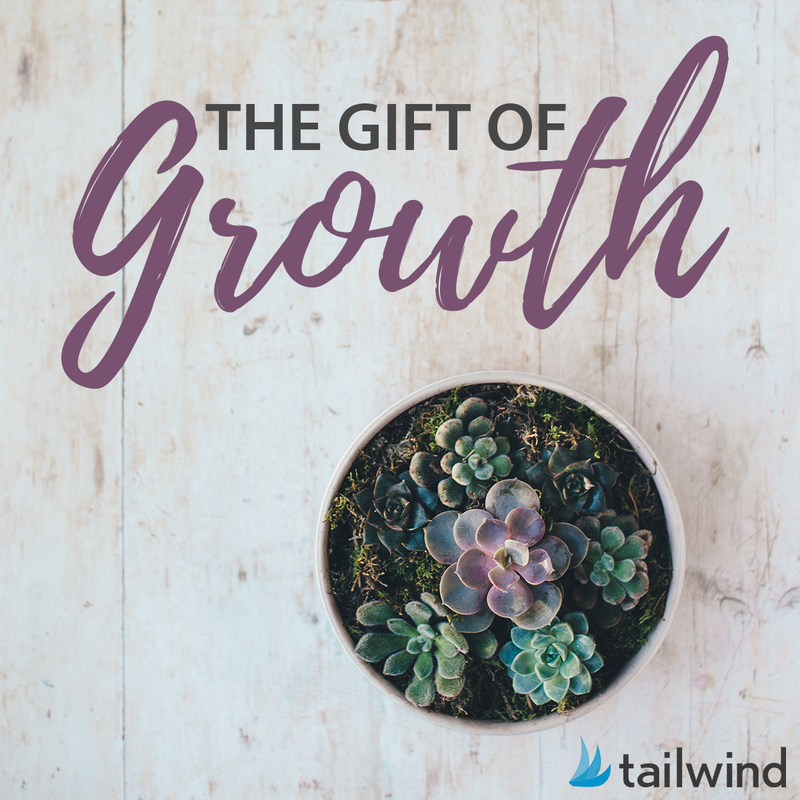 It is that time of year again! 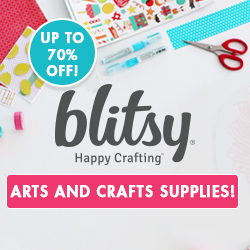 Time for the Big Stamp & Scrapbooking show (BSSBS). If you haven’t got them already then you can go get your BSSBS tickets over on their website and if you buy them before the 8th April you get them £1 cheaper than door price. The show is at Alexandra Palace, London (Ally Pally for those in the know!) as always and is on the weekend of 12/13th April 2014. Right I’m off, catch you all later. 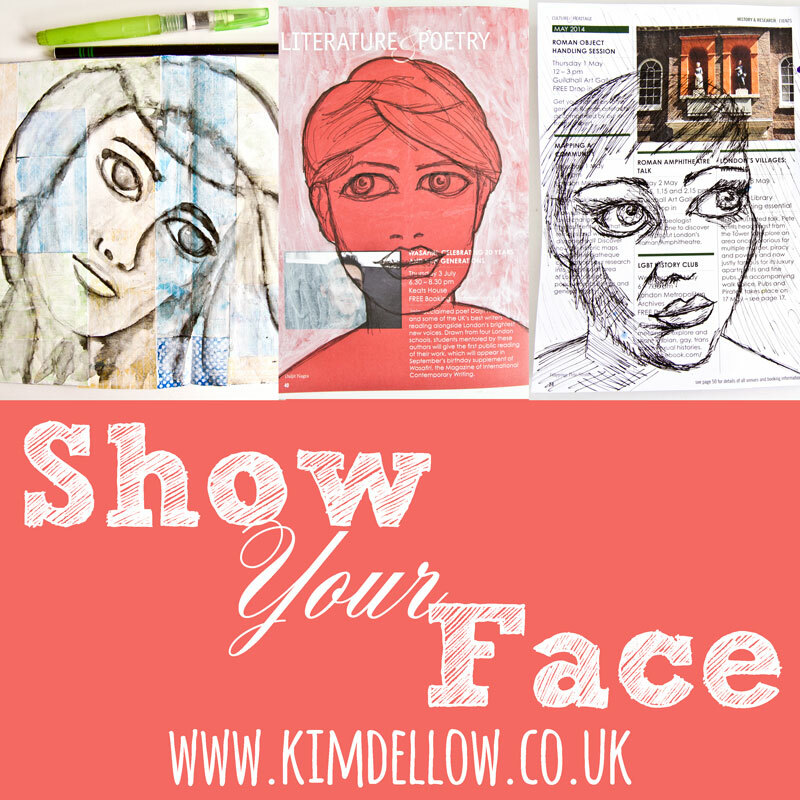 Time for a DT make and this month the Creative Expressions DT have some of the Sue Wilson Stamps to work with. For my make this week I’ve used two of the stamps. 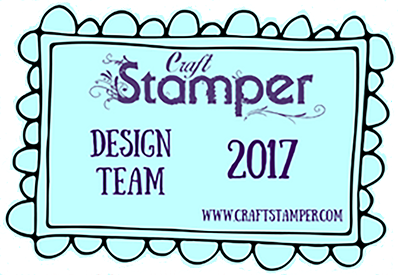 The multi-coloured chevron border is the Scented Border stamp inked with Ranger Archival Rose Madder, Saffron and the Wendy Vecchi Cornflower Blue ink pads. 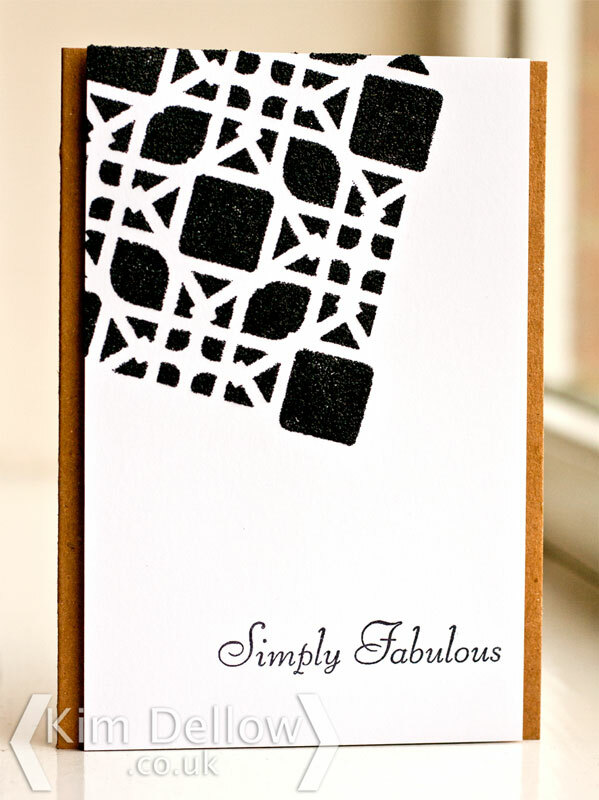 The sentiment is from the Engraved Elegance 2 stamp set. 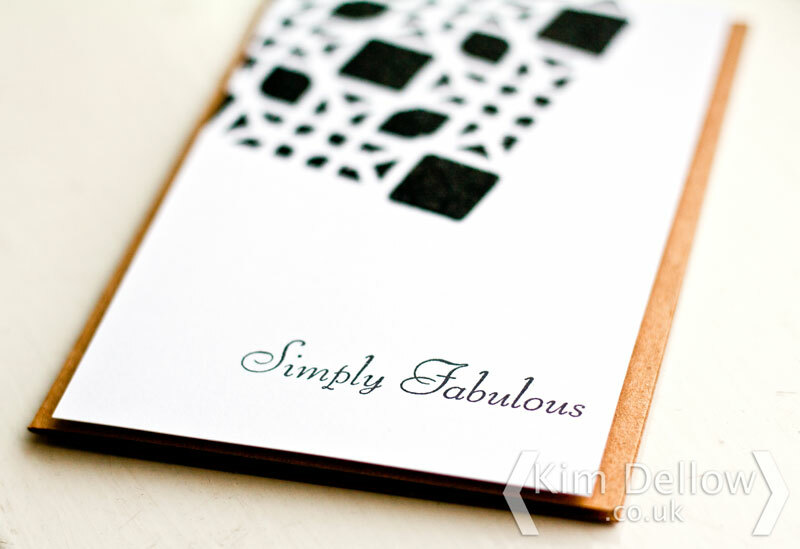 I went for a simple, contemporary style for these perhaps more traditional style of stamps to show their versatility. Have a super creative Wednesday. My make for Clare Curd Crafts is over at the blog. 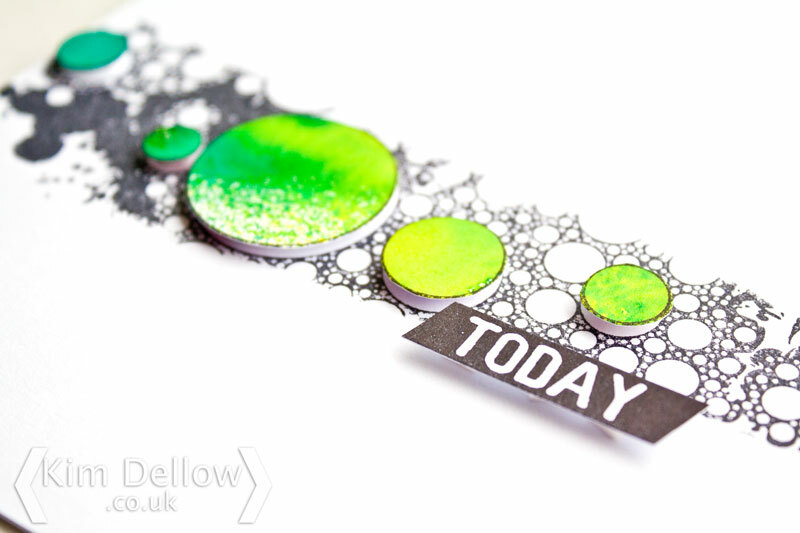 It is inky again with Dylusions Ink Spray and bubbly with IndigoBlu Bubble background. The sentiment is from the Hero Arts Today Stamp Set. 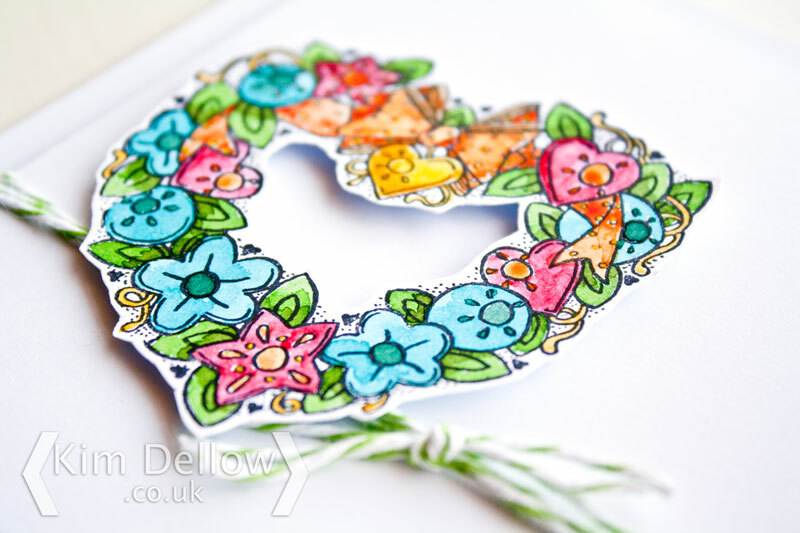 Another peak at the Creative Expressions Umount Posy Floral 1 stamp set today. 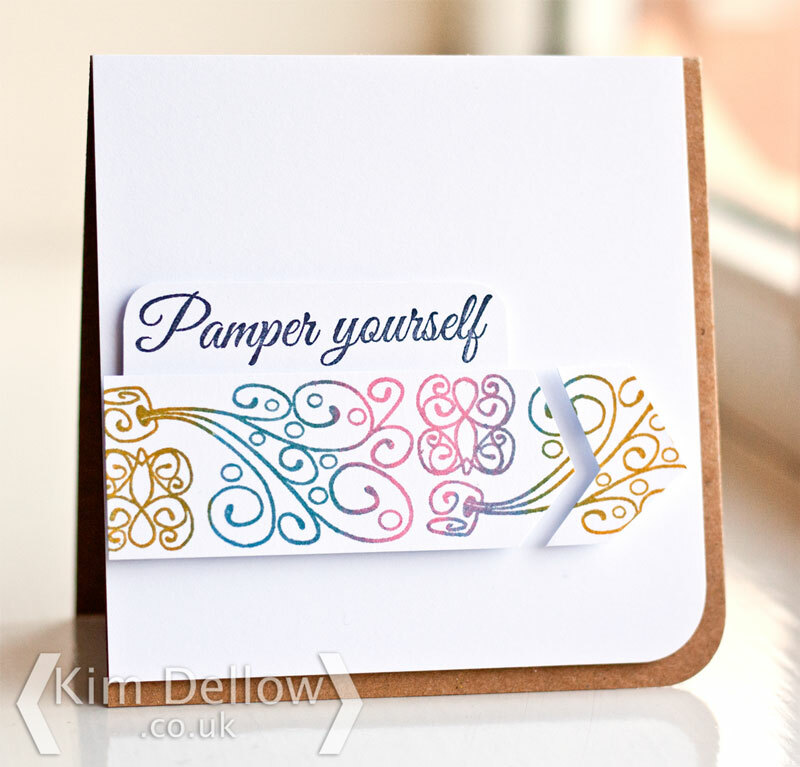 Another lovely stamp with a strong line that just made me want to go mostly white with a splash of colour. 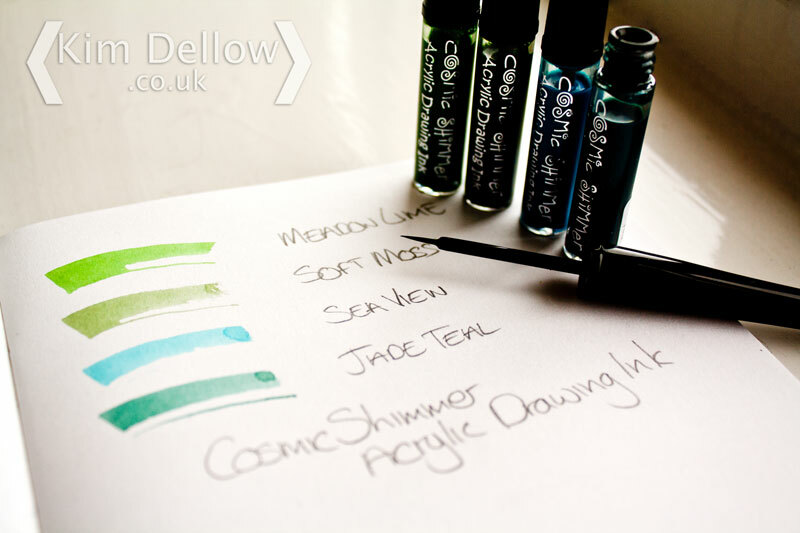 The blues and greens are all from the Cosmic Shimmer Drawing Ink Garden set and the warm colours are watercolours. Do love the pop of colour on the white. Have you spotted that Creative Expressions has a Pinterest page and a Twitter feed? 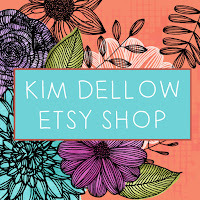 I have a Creative Expressions make today and I think you can guess that the Umount Posy Floral 1 stamp set the DT are working with this month has really put me in a clean and simple mood for my last few makes. So hope that you are up for another CAS make today. Actually, I’m not sure you can really classify this as a CAS make. Perhaps it is more a ‘Mostly White’ make? The blues and greens are all from the Cosmic Shimmer Drawing Ink Garden, the yellow is some watercolour. Have you tried the Drawing Inks yet? I’ve had my eye on them for a while now, so it was fun to get a chance to try them out. The inks are water-based acrylic colour so have that lovely translucent watercolour look. I like the eye-liner style packaging, the fine brush makes application of the colour really easy. When I first got them I did think that I would be using the brush just to put the colour onto a palette then use one of my own brushes to pick up the ink but actually I find the attached brush really nice to use and great for small detail work. 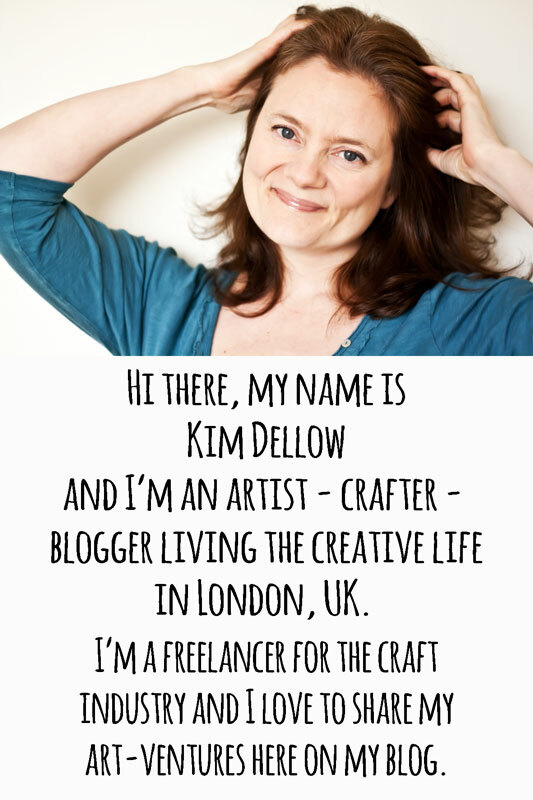 Now if you fancy getting a chance to try out Creative Expression products they have a DT call running at the moment you can find all the details on how to apply over at their blog. Good Luck! 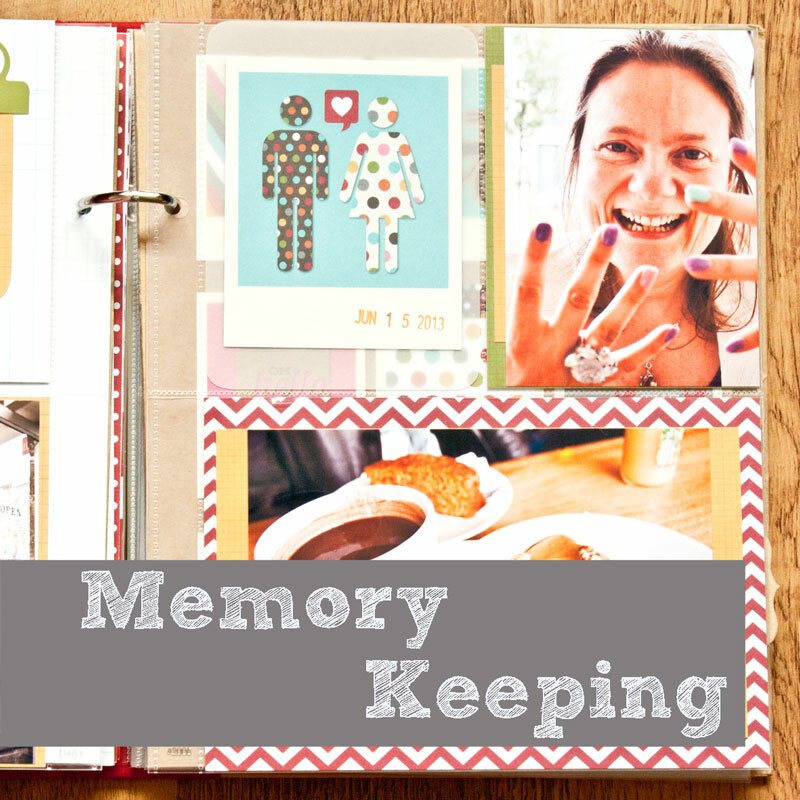 I think that I’m just going to claim this week as Clean and Simple (CAS) week here on my blog! My last couple of makes have definitely been CAS and today is no break from that. 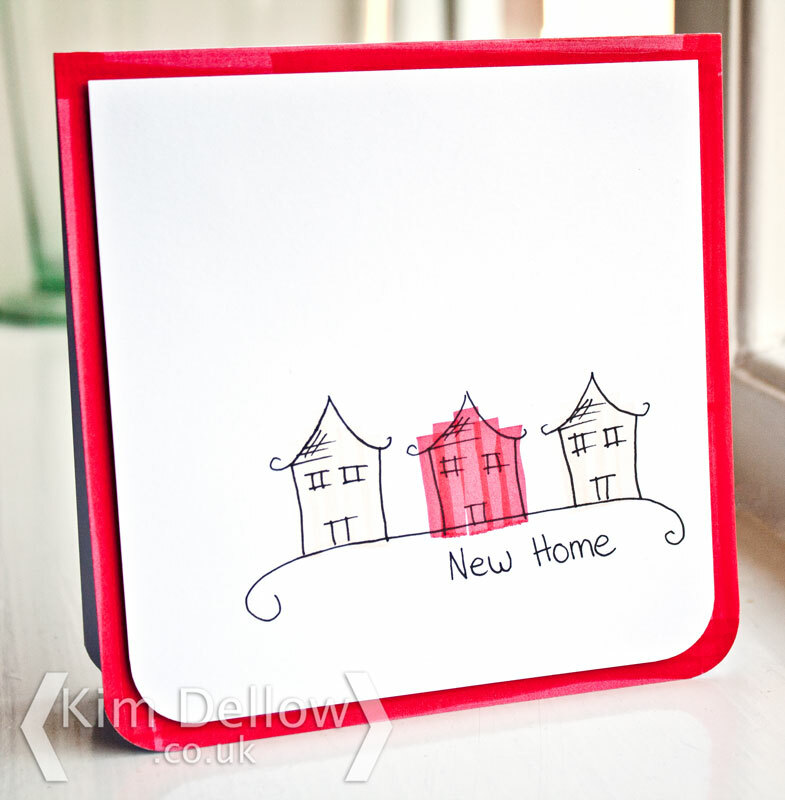 It’s a little doodle card, that I’m quite fond of. There isn’t much to it I’ve just used a couple of pens, the ZIG Calligraphy pens and the ZIG Millenium pens. Now you might recognise it as it was one of the samples I made for the Kuretake Create and Craft show I did last year, but I hadn’t got around to putting it up on my blog until now that is. I’m pretty sure there will be some more CAS makes on their way! 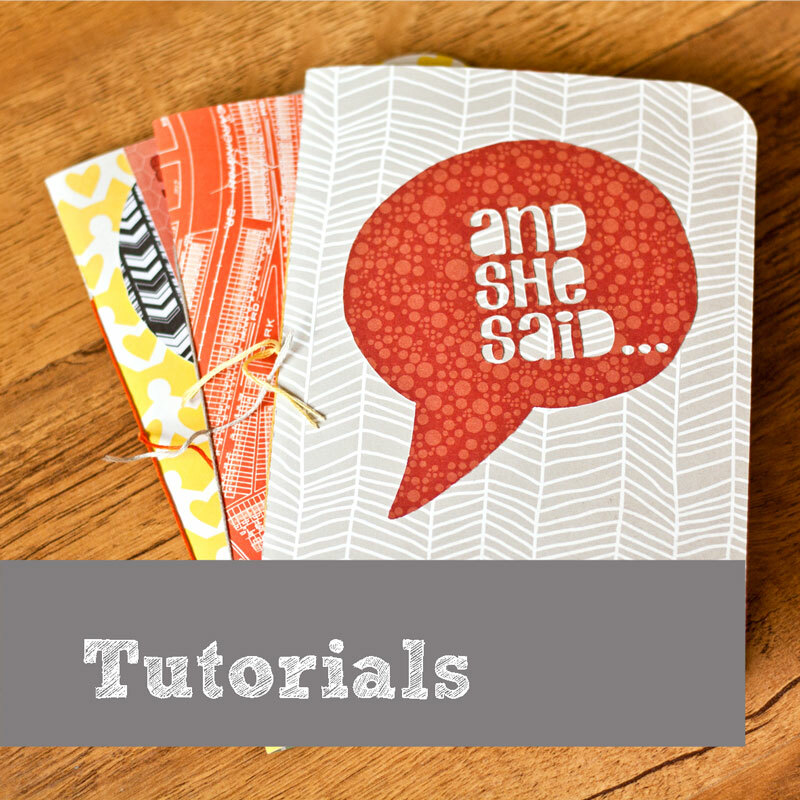 Time for another Clean and Simple (CAS) make for Creative Expressions. 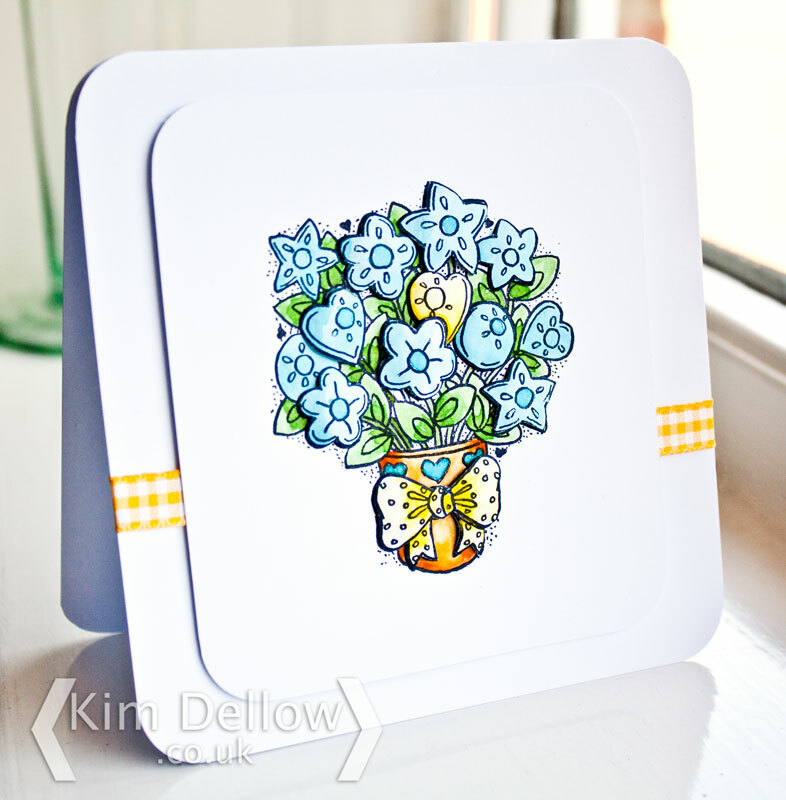 If you remember last week I made a CAS ATC using the Creative Expressions Umount Posy Floral stamp set. 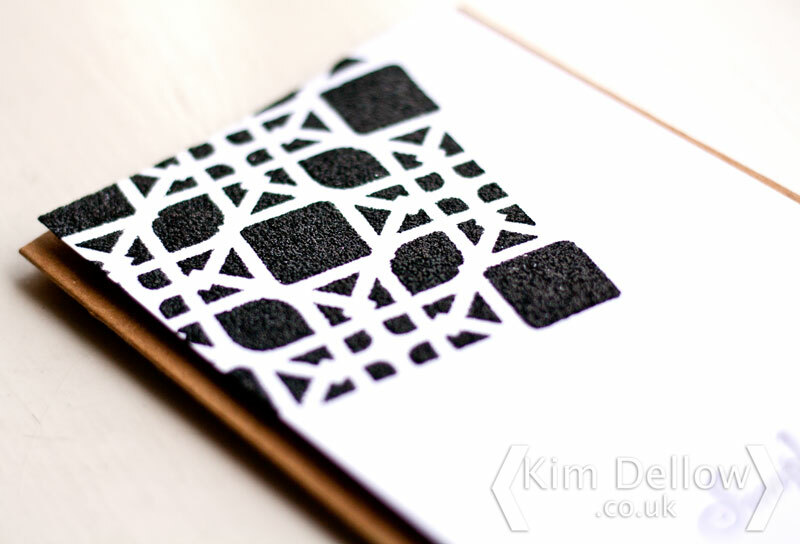 I’m showcasing the same stamp kit again but on a card this time. I’ve also used the Garden set of the Cosmic Shimmer Drawing inks again with a touch of watercolour for the red heart. The diagonal stripes are one of my own curved stamps and I’ve used the Cosmic Shimmer Drawing ink directly on the stamp. I’m obviously in a CAS mood at the moment! 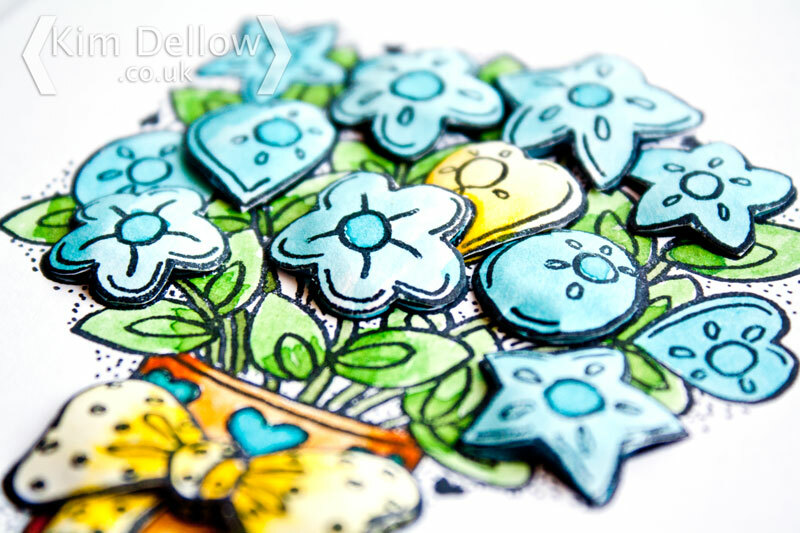 Don’t forget to see what the rest of the DT are doing with this stamp set and the drawing inks over at the Creative Expressions Facebook page. 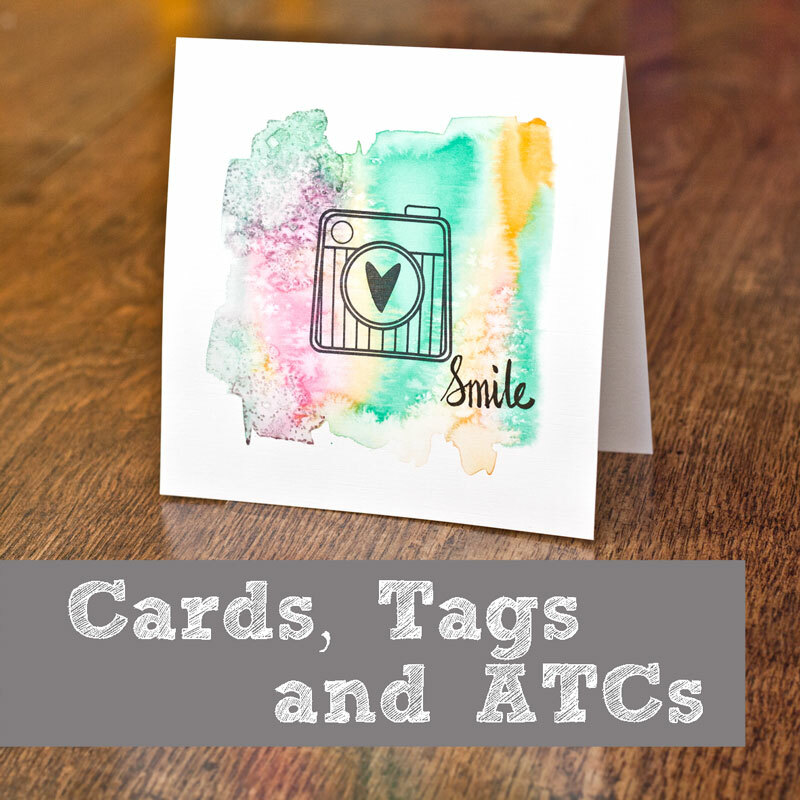 You could not get more clean and simple than my make today, it is an ATC for Creative Expressions, but I kind of think it looks almost business card like, what do you think? 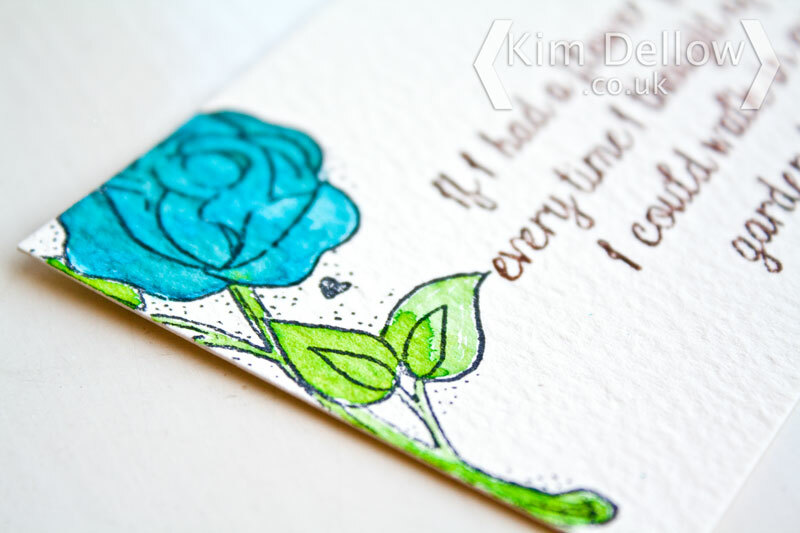 It comes from the Creative Expressions Umount Posy Floral stamp set as does the rose in the corner. The colour on the flower was added with the Garden set of the Cosmic Shimmer Drawing inks. That’s all from me today, have a lovely and creative Friday.